Storage space remains an issue for smartphones users. Sure, you can opt for the 512GB version of a flagship smartphone, but you will be paying a high premium for that convenience. One of the most practical solutions is cloud storage. 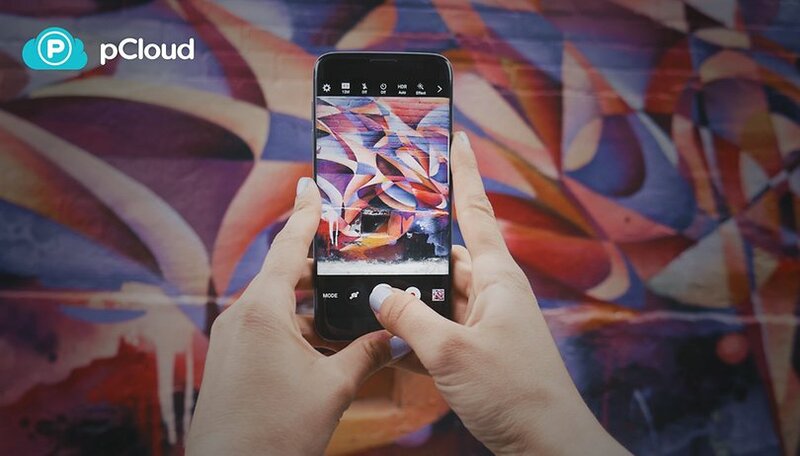 With the pCloud app, storing files from multiple devices is a piece of cake. The interface is clean, simple and easy to use. There is unbreakable file encryption, a built-in audio player and automatic backup options for both photos and video. Simply switch on Automatic Upload in the app and you’ll never have to worry about losing your family photos again. You’ll get 10GB of free cloud storage with the basic free plan. To put that into perspective, Dropbox only offers 2GB of storage before you have to reach for your wallet and start paying. I have more than 2GB of photos just of my cat! Monthly and yearly plans have been around forever, but pCloud pioneered the lifetime cloud storage plan. For a one-off payment, you can quite literally set yourself up for life, storage wise. If you want to sign up to pCloud for life, you can purchase the 500GB option for a one-off payment of $175 - that’s 65 percent off the regular price of $480. Need even more storage? There is also a whopping 2TB lifetime plan available for $350 - 65 percent off the regular price of $980. You’ll never have to worry about storage again, ever! If you are still worried about security, pCloud has a solution. For an additional fee, you can sign up for pCloud Crypto. It costs just five bucks a month, or you can get a lifetime plan for $125. The Crypto add-on allows you to encrypt sensitive files on any device and make them invisible to others. Such is the confidence of pCloud in its security, that the company offers a $100,000 prize to anyone who can hack into its client-side encryption software. At the time of writing, 2860 hackers have tried - and failed - to break in. There is also a 10-day money back guarantee if you decide secure cloud storage is not for you. You can read more about pCloud and get all of the deals mentioned in this article on the pCloud website. Thanks for the information, sounds very interesting but I am a student and don't have money.